Fortnite Latest Update added Stink Bomb and More . Update is Now Available on PS4,Xbox One ,PC , Nintendo Switch and Mobile . 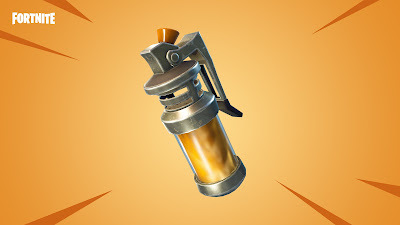 The Stink Bomb is New Throwable weapon ,it create stinky cloud that deals five damage every half second within the cloud .It lasts for 9 seconds in total and can be found in Epic rarity only in chests ,Vending Machines and in floor loot . A New limited time mode has been added in New update . Named Final Fight : teams of 20 ,the mode sees five teams of 20 Players each go to battle in a Final Fight variant of Battle Royale . This means the storm circle ceases closing in after its third shift .At this point , Countdown will begin and the team with most players remaining at end of the timer will win .